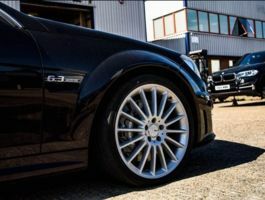 RRT (UK) are setting new industry standards with their alloy wheel refurbishment services. Using their bespoke facilities in Bedfordshire, they champion quality and environmentally-friendly policies, allowing them to stand out from the competition. Further to their previous raise, RRT will use the funds raised to further expand their business and continue to pioneer their sector with the aim of becoming the UK leader. Here at RRT (UK), we are committed to leading our industry. 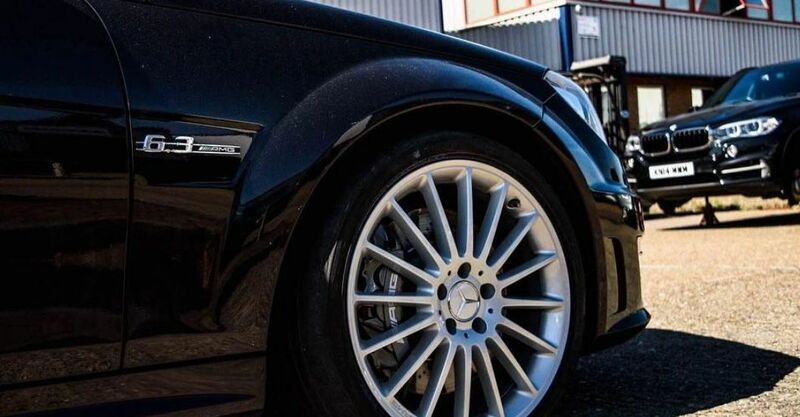 We specialise in alloy wheel refurbishment, painting, and OEM refinishing, which is historically dominated by mobile operatives. One of the things that makes us stand out, then, are our bespoke warehouses and facilities. We have two warehouses for our refurbishments, one for preparation - the 'dirty' work - and one for the 'clean' work of finishing and quality control. This enables us to achieve a superior finish as it eliminates any airborne particulate contamination. 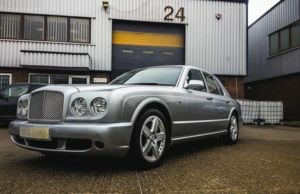 All our facilities and services are designed to exceed industry regulations - in fact, we are one of only two wheel refurbishment services providers in the UK that are fully UKAS accredited to ISO 9001:2015 Quality Management Standard, and we are working towards achieving ISO 140001:2015, Environmental Management Certification, in the near future. We're very conscious of our industry's impact on the environment and are actively working to minimise this. We keep emissions and waste to an absolute minimum and ensure our staff are correctly trained to bear this in mind. We place a 12 month warranty on our workmanship and pride ourselves on outstanding customer service, which has allowed us to establish a strong reputation. We're returning to Crowd2Fund to raise further funds following a successful previous raise, to continue our growth. Therefore, the money raised will be used to enable the smooth running and improvement of our services as we strive to become the UK market leaders. Q. Hi, you mention contracts coming in for different sectors. Which sectors, and what's the contract duration? Thanks for previous answer. A. Hello again, I'm afraid i can't share the exact details due to agreements in place, however contracts run from 12 months to 36 months generally. Our most recent contract is quantity based rather than time limited. Sectors include Automotive, and now Defence. Q. There seem to be quite a few charges at CH for RRT motor vehicle other, Eg is one for borrowing against invoices? What are the charges for? A. Hi Jocelyn, Should only be 2 x charges at Companies House. One for a invoice discounting facility, the other for structured long term finance. Q. How are you positioned for a financial downturn or wobble - is there flexibility somewhere in the operation? A. Quite well, we had a fairly quiet Q4 and reduced costs by 15% to make up for this. Other cost saving methods can still be employed as needed. However we are predicting growth into 2019 with contracts in different sectors coming live, keeping our spread more diverse. A. Hi Mohammed, not sure on the credit limit to be honest, each agency seems to score very differently. 2017 - 2018, we restructured the finance over a longer term - so should see an increase in long term liabilities. Q. Would you mind listing mgmt. figures for 2018 - T/O, CoS, Admin, NI, Pre-tax, and balance sheet? A. Of course: T/O: 1.2m, COS: 353k, AdminEx: 568k, OP: 310k, NP: 110k. B/S @ 129k. Q. Hi there, Good to see you back. You seem to be servicing a large amount of debt for 2017. Is that down for 2018? A. Hi Jakob, Yes indeed - down significantly into 2018. GP and NP possition also much improved on previous years! 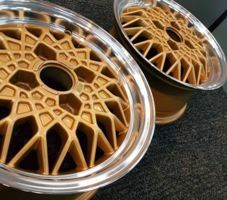 "Pioneering quality and environmentally-friendly wheel refurbishment"